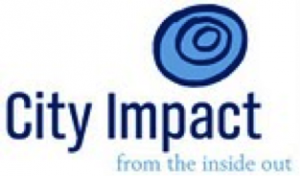 City Impact: Helps improve Lincoln neighborhoods through its Impact Leadership Academy, reading center and community outreach efforts. Learn more here. Clinic With a Heart: Serves the uninsured and underinsured through a ministry of health care. Volunteers provide free health care with hospitality, dignity and grace. As part of our commitment to patients we serve as a gateway to other Human Service agencies helping them in finding an appropriate health care home. Learn more here. Junior Saltdogs: The Saltdogs are as Amercian as apple pie. We’re proud to sponsor a junior baseball team each year. See story and photos here. Lincoln Lighthouse: A community based after-school program for youth in sixth to12th grades. It provides a safe, supervised and structured environment for teens to hang out with friends, receive tutoring assistance, play games, enjoy a home cooked meal, belong to clubs and more! Learn more here. Lincoln Paint a Thon: We don’t just sell them, we paint them too … all for a great cause! See story and photos here. Special Olympics: Agents asked as guest hosts for Andy Roddick and some of the other tens of thousands of special guests who came to Lincoln for this worldwide event. See story and photos here. Union Plaza: The jewel of the city of Lincoln’s redevelopment program, Union Plaza includes a fountain, pond, play area, outlook and scenic overlook. Learn more here.